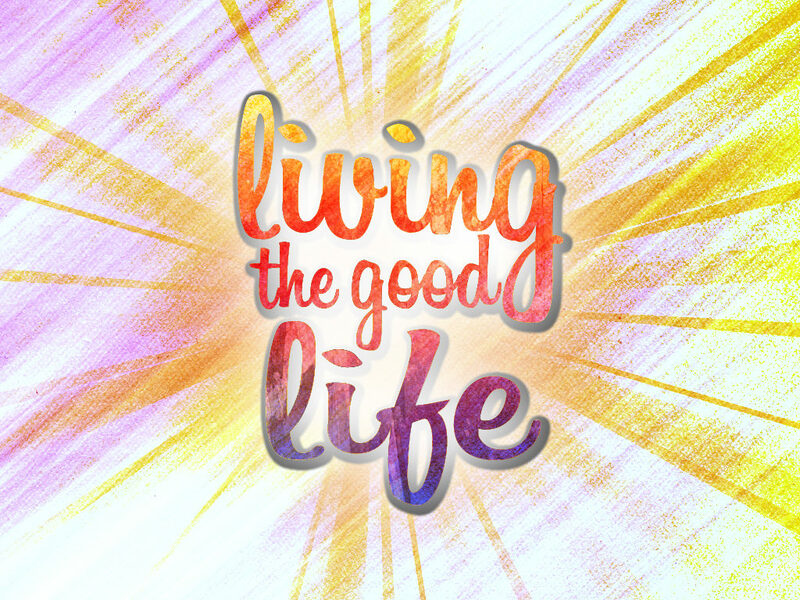 What is it to live a good life? How does one measure a life well lived? What intrinsic and extrinsic factors are your gyroscopic guides on this great adventure? Many people are giving more thought to this, particularly as they look in the mirror and see the aging process in effect, or pine on what they were once able to do years earlier. Many experts, happiness gurus, and people who live “in the moment” encourage all of us to explore our emotions and feelings in order to tap into these trustworthy cornerstones of how to live. Where and how can you more fully tap into your thoughts, emotions, and feelings to assure yourself that you are indeed on the right life path? One of the greatest freedoms each of us has is the freedom to make choices on a daily basis. Examine your day closely. How many choices did you make intentionally, and how many by default, without thinking? This examination along with its increased self-awareness will likely have you notice the accompanying feeling about what you are doing, and perhaps with whom you associate. Today’s quote points us in the direction of actually choosing our perceptions, and thus our feelings, to catch only the waves we most desire. Consider using a journal to capture your feelings as you surf through your day. How can you choose far more ideal waves that will give you the best rides of your life? Today, we experience numerous areas of our lives where the same words prevent us from eating healthy foods, getting proper exercise, and yes, doing those pesky chores. As a coach for over 20 years, I’ve observed that people of action – deliberate, habitual, and massive action – seem to consistently feel better and have more energy than those who do their best to conserve their efforts. For the next week, create multiple post-it notes with the famous Nike phrase “Just do it” and see if you catch the positive, energizing momentum available in an action-packed life.